Watch Amaya transform into her PJ Masks alter-ego, Owlette! Night time is the right time to fight crime! Watch Amaya transform into Owlette with the Transforming figure sets as she gets ready to go into the night to save the day! These transforming figure sets are the perfect choice for every PJ Masks fan! 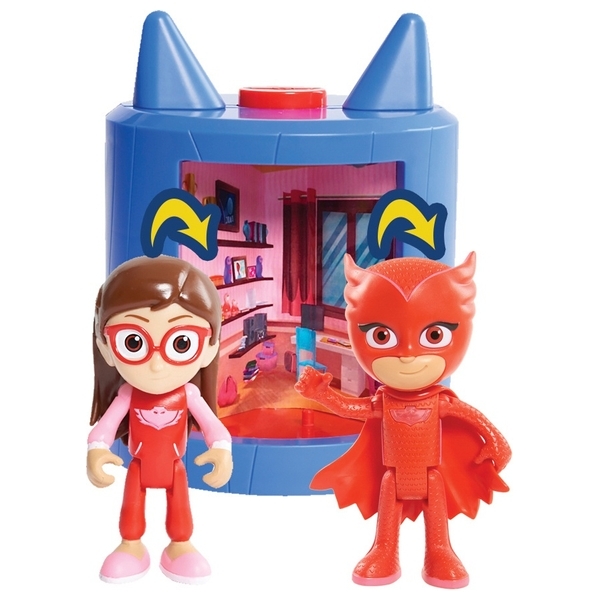 Each transforming playset comes with 2 figures, one in their daytime persona and the second dressed in their PJ Masks costumes. Place your day time figure in to the playset, push the button on the top, and in true superhero style, they will change into their PJ Masks costumes! Each sold separately. Collect all 3 and stack them together!